There is now a huge range of training materials available to developers who want to build skill for Amazon Alexa. 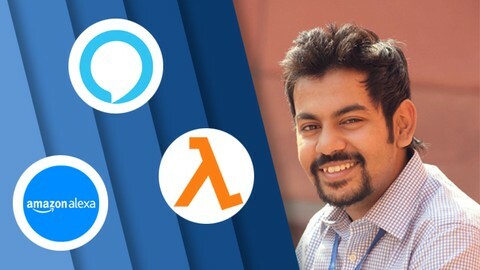 Here is my selection of the best voice app development courses for developing Amazon Alexa Skills. 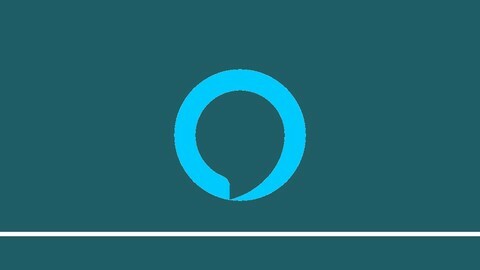 The following Alexa skills courses are available through the learning platform Udemy, which occasionally has huge discounts on courses, some costing less that $10. The courses are often written by industry leaders with real practical experience designing and building the technology, so you get very high quality training from true experts in the field. The courses I’ve selected are very fresh too, so you know you’re learning the latest techniques. 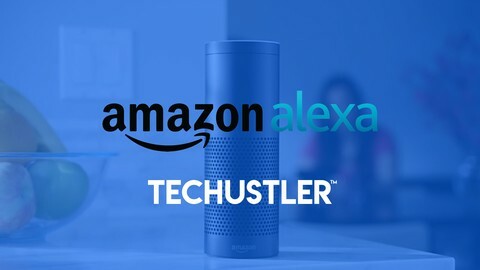 This is the go-to course for beginners who want to learn to build Alexa Skills. With over 5 hours of video content, it teaches you all the fundamentals of how to build custom Alexa Skills, and how to create visual voice interaction models for advanced voice user interfaces (VUI) and conversational user interfaces (CUI). It’s the most recently updated of all the Alexa skills courses in the list, and throughout the course you use Node.js 8.10 with the latest Alexa Skills Kit SDK v2 (ask-sdk). You’ll get a good understanding of Alexa and its ecosystem, and an overview of the technology behind Alexa. You discover what are Intents, Slots, and Utterances are, and how to make asynchronous requests with promises, await & async functions. First you build a Lambda Function (Serverless Computing) and connect with Amazon S3’s Storage API. Then you build your first full Alexa Skill, Eva 1.0, and get an opportunity to use Amazon Polly, SSML tags and Amazon Lex to generate expressive speech for your chatbot. Security setup through Amazon’s IAM (Identity and Access Management) is covered, then you enhance your project by connecting to the Google Maps Directions API for getting Real-time Traffic Information. Once your skill is running, you are shown how to monitor its performance and debug errors through Amazon CloudWatch. 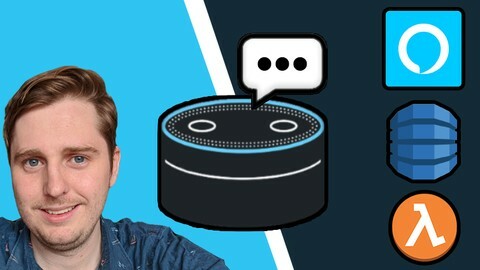 Clear, concise, and well explained, this is an excellent course to get started with creating Alexa skills. 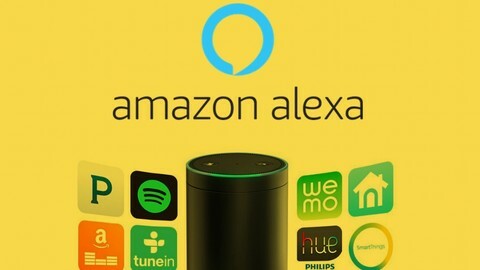 This is the most popular course on Udemy covering developing Alexa skills using the Alexa Skills Kit (ASK). It includes a huge 9.5 hours of video content, plus 6 downloadable resources. It has been very recently updated so you know you’re getting up to date knowledge. First you’re given an introduction to the Amazon Echo, the Alexa Voice Service and the Alexa Skill Kit. Then you jump into developing your first Alexa Skill, the Greeting Skill, using the AWS Lambda function. Next you adapt this skill to use a Web Service as an end point, so you have experience of both methods. The next skill you develop is the Email Checker Skill, which uses the Account Linking Feature of Alexa Skills Kit. This lets you link the Amazon Alexa user account with the user in your system. The third skill you make is the Food Nutrition Lookup Skill. Over the whole course, you learn how to do automated testing of Alexa Skills using the Mocha test framework and the Python Unit-test framework. You discover how to access external APIs, and how to store user information in external databases like AWS DynamoDB. 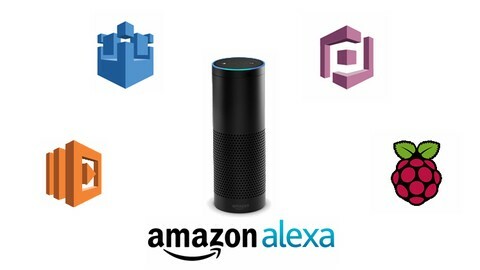 The course also explains how to properly setup your local environment and AWS CLI, so that you can automate the process of uploading Alexa Skills from your local machine and publish them to the Alexa Skill Store. There’s even a section on using FLASK-ASK framework to develop Alexa Skills. If you want to start creating your own custom skills for Amazon Echo and Echo Dot devices, this course is an excellent choice. 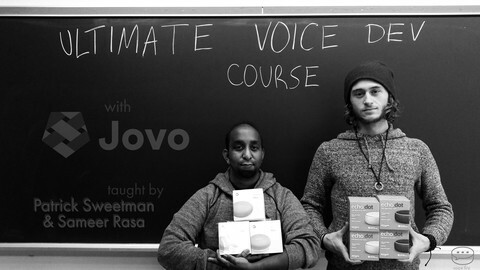 This course uses the awesome Jovo Framework, which allows you to code an app once, and publish it to both Amazon Alexa and Google Assistant at the same time. 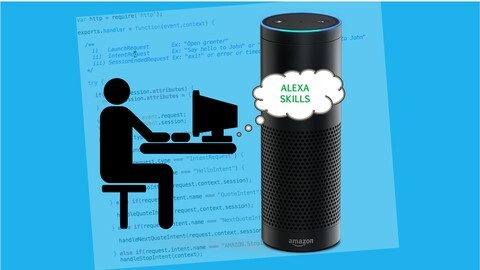 This is an Alexa skills courses for intermediate developers with some experience of building Amazon Alexa Skills already. It’s a relatively short course that packs in a lot of knowledge into 2.5 hours of videos. After following this course, you’ll be able to integrate APIs and AWS IoT into your Alexa Skills. 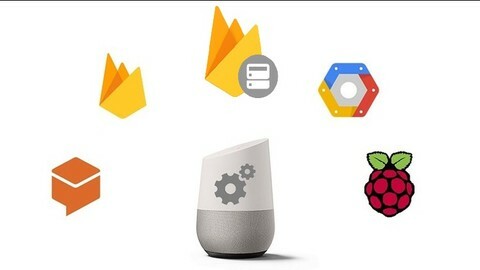 You’ll also be able to connect web applications using Amazon Cognito and AWS IoT, and control any existing web application using an Alexa skill. This course is unique in that it also covers how to control a Raspberry Pi 3 with an Alexa skill using AWS IoT. You begin the course by building a date skill that interacts with the Wikipedia API to get useful information about a date. After that, you build a simple IoT Skill which helps you understand the basics of interacting with AWS IoT. Then you tackle colour game skill, where you build an interactive web game with an Alexa Skill. This shows you how to adapt an existing web application to be controlled by an Alexa skill. Finally, the Raspberry Pi car skill is a fun project that shows you how to control a Raspberry Pi car using an Alexa Skill through AWS IoT. This is not a course for beginners, but if you are serious about developing Alexa skills and already have a background in Alexa and Raspberry Pi, this could be the ideal course for you. 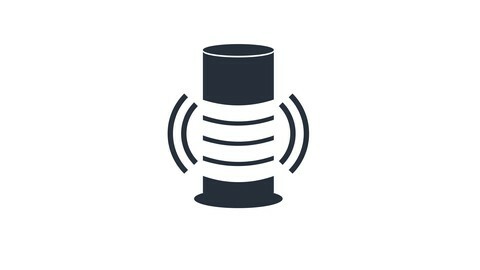 Alexa Flash Briefings are not full Alexa Skills, but rather a feature that lets you create a subscription news service for Amazon Alexa. When your listeners subscribe to your Flash Briefing, they will regularly receive a short audio news headline that’s just a few minutes long. Flash Briefings are a great way to build a new audience, and maintain regular contact with your followers. This course explains in detail what a Flash Briefing is, how to record your Alexa Flash Briefing using Audacity, and how to add it to a hosting site. 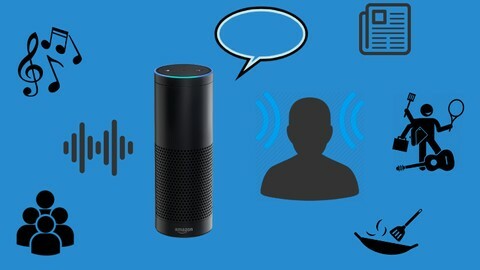 It explains how to upload your Flash Briefing to both the old and new Amazon Developer Consoles, and how to use Amazon Web Services to add an Alexa Flash Briefing using text. 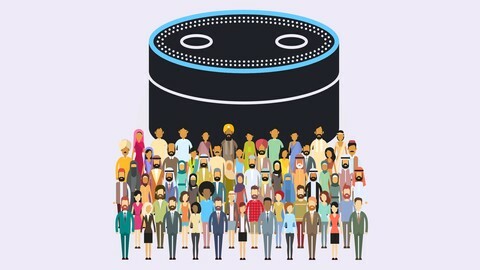 In just two hours of video lessons, the instructor walks you through the whole process, and explains how to make your Amazon Alexa Flash Briefing really stand out by giving it your own personality. The entire process of creating your Flash Briefing is covered, from idea through to publishing. 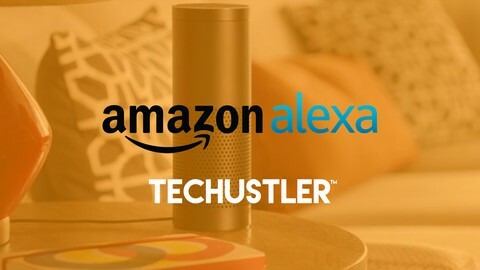 If you were thinking of putting audio content onto Amazon Alexa, this course is a great option for quickly and easily learning how. 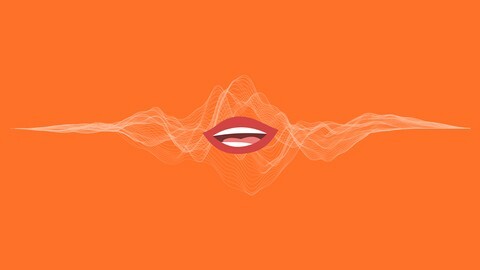 If you’re interested in learning to build Google Assistant Actions, Apple Siri Apps, or chatbots, check out the other articles on the best voice app development courses available today.